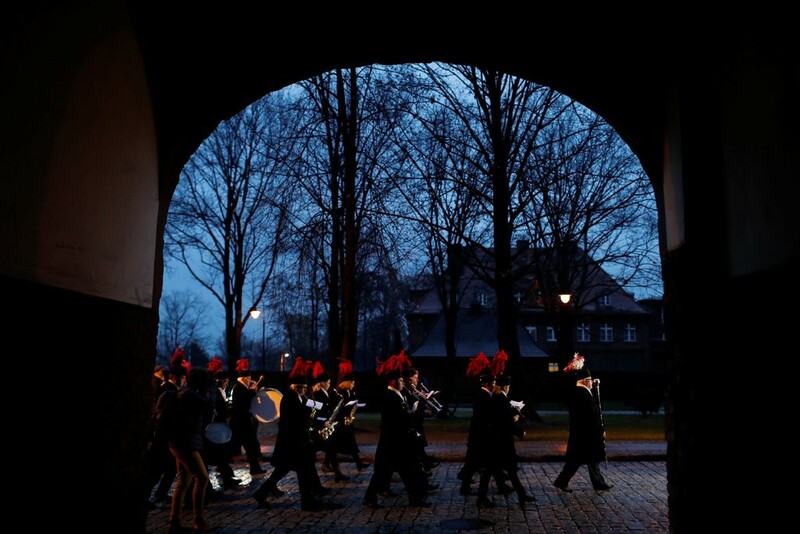 December 6, 2018 - As thousands of environmental experts from around the world arrived for a conference on climate change, hoping to find a way to stem the damage caused by burning fossil fuels, their Polish hosts arranged for a band to greet them. The Polish Coal Miners Band, dressed in smart black uniforms and wearing traditional miners’ caps, struck up a tune as confused-looking delegates arrived at the convention center in Katowice, a city in the heart of southern Poland’s coal mining country. The message of the host country was not subtle. Coal, known as black gold here, is king. And while Poland was happy to host the United Nations’ 24th annual climate change conference, that was not about to change. It was an inauspicious start to a conference that already faced steep challenges in trying to come up with meaningful agreements on the issue of global warming. Despite an ever-growing mountain of evidence that the harm done by rising temperatures is already being felt and will worsen unless urgent action is taken, signs of such action are scarce. “Even as we witness devastating climate impacts causing havoc across the world, we are still not doing enough, not moving fast enough, to prevent irreversible and catastrophic climate disruption,” said António Guterres, the United Nations secretary general. But the Polish government’s choice to use the forum to showcase its devotion to coal offered a discordant note to the start of the convention — part of the much broader challenge facing Mr. Guterres and others who are urging countries to aim for net zero carbon emissions by 2050. To meet that goal, burning coal would need to be nearly completely eliminated. But the optimism that existed after the 2015 Paris agreement on climate change was reached three ago has largely faded. President Trump pulled the United States out of the accord, though its provisions were voluntary. Russia has yet to ratify the agreement. And many countries that remain committed to it are nowhere near meeting their targets for reducing greenhouse gases. The goal of the two-week United Nations meeting in Poland is to establish rules for carrying out the Paris agreement to limit the rise in global temperatures to between 1.5 and 2 degrees Celsius. While Poland’s dependence on coal is well known, the government’s use of the global forum to promote its energy agenda was striking. Only days before the conference, Poland — Europe’s largest consumer of coal, and home to 33 of the 50 most polluted cities in the European Union — announced that it planned to invest in new coal capacity next year. In another provocative move, Poland decided to partner with the biggest coal enterprises in the country to organize the United Nations conference. Even before the European Commission recently unveiled its strategy for a net zero carbon economy in the bloc by 2050, Poland and other states argued that if the biggest polluters, like the United States, do not intend to meet their emissions reductions goals, the smaller countries should not be expected to accept tougher targets. Poland, which has the highest domestic coal production in Europe, burns coal to provide nearly 80 percent of its energy. The government announced plans to reduce that to around 60 percent by 2030, partly through investing in modern, clean technologies. President Duda reminded the conference that Poland had managed to reduce its greenhouse gas emissions by almost one-third compared with the base year of 1988, and talked about making sustainable development a priority. In a country where about 100,000 people still worked in the mining industry as of 2015, he said, planning for the transition to a low-carbon economy needs to include maintaining economic development and jobs. Patryk Bialas, the director of the Center for Innovation and Expertise at Euro-Center Science and Technology Park in Katowice, prepared for the conference in his company’s headquarters, an ultra-innovative passive building equipped with technologies powered by renewable energy sources that make it far more efficient than traditional buildings. For Mr. Duda, the focus was on the present, and he used the second day of the conference to reinforce his pro-coal message. Skipping the meeting, he visited a mine in Brzeszcze, in southern Poland, and participated in celebrations of “Barborka,” the feast day of St. Barbara, patron saint of miners.